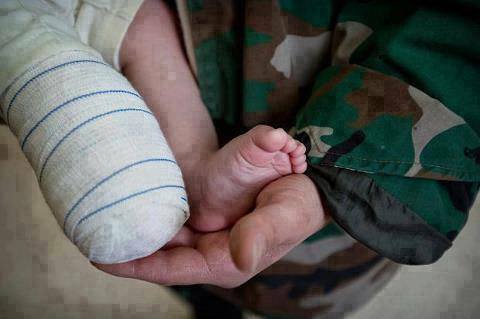 We are not sure about the origin or photo credit for this heartbreaking photo, but it’s going around on the Syrian-related sites. This entry was posted in Amputees, News Coverage of Syria, Refugee Crisis - Syria, Syrian Children and tagged amputations, amputees, impact on children, photos, Syrian children, war injuries in syria on December 4, 2013 by palmyrarelief. Palmyra Relief is on the UK's Register of Charities. Registered charity number: 1164020.